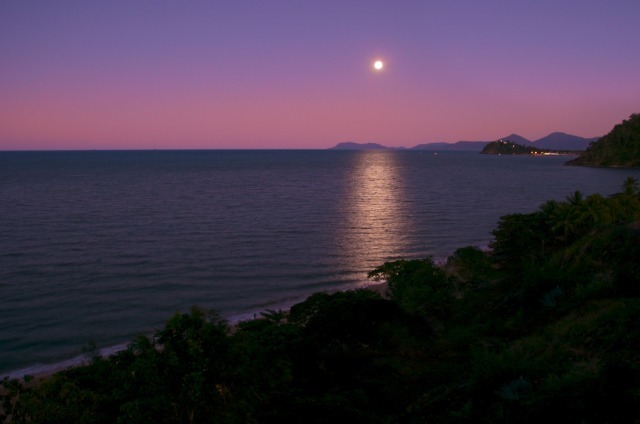 Amaroo at Trinity is a 4 star AAA rated, elevated beachfront property offering stunning views over the Pacific Ocean. Be amazed by the magic of a tropical sunrise as you sip an early morning coffee on your own private balcony. 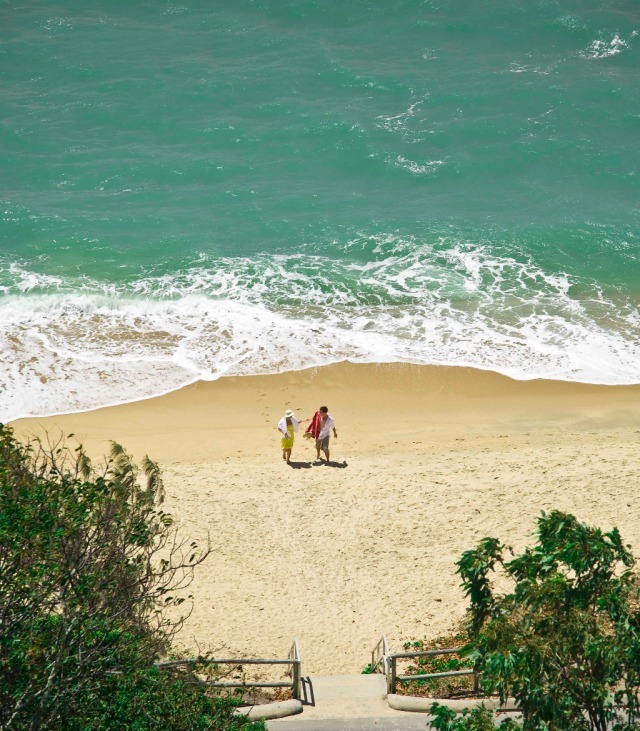 Wander down to the beach for an early morning dip. 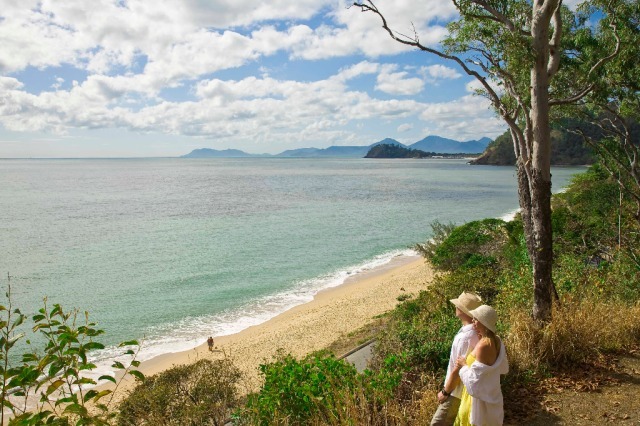 If you're feeling more energetic, take the walking track around the base of Earl Hill to the lookout for a superb view of Trinity Beach, the mountains and the islands off Palm Cove. 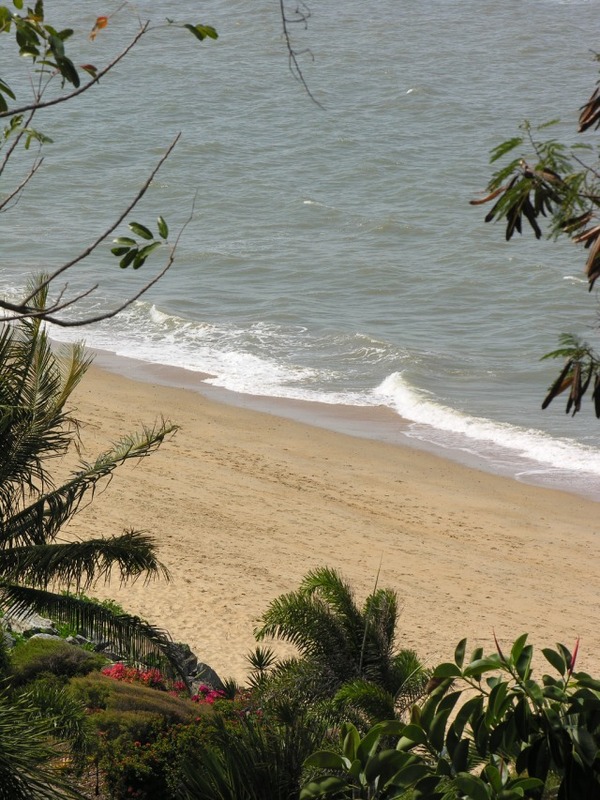 Wander down the steps leading directly from the property to the warm tropical waters and golden sands of Trinity Beach. Just a short stroll away are the esplanade restaurants. 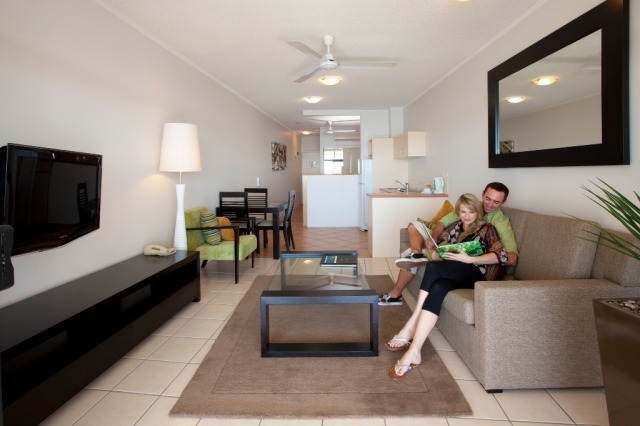 With a total refurbishment of the building recently completed, and easy access to the casual ambience of the seaside village of Trinity Beach, Amaroo at Trinity provides the ideal setting for a tropical beach escape at exceptional value! 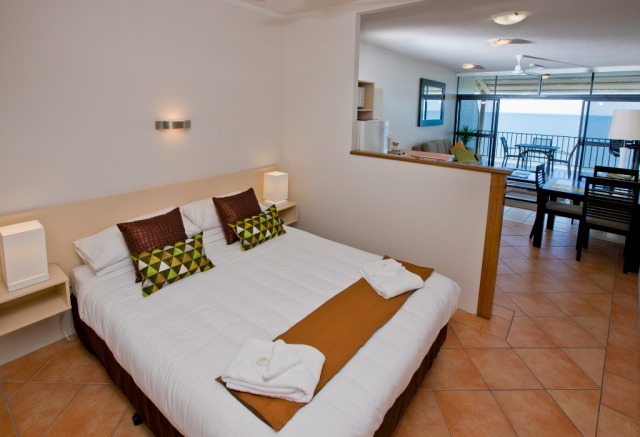 The resort consists of 32 fully appointed studio apartments. 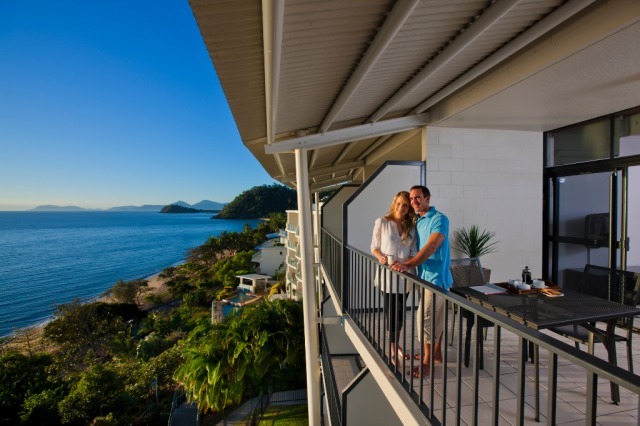 Each apartment has a large spacious terrace overlooking the beautiful Coral Sea with some units enjoying mountain views from the second patio. The studios are open plan with separate bedroom area, self-contained kitchenettes and a comfortable living area that flows out to the terrace. Ocean Outlook Studio with private spacious balconies. 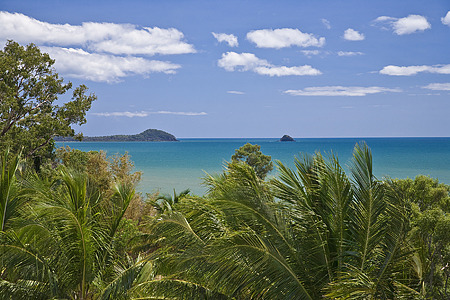 Relaxing tree-filtered views of the magnificent Coral Sea and Trinity Beach. 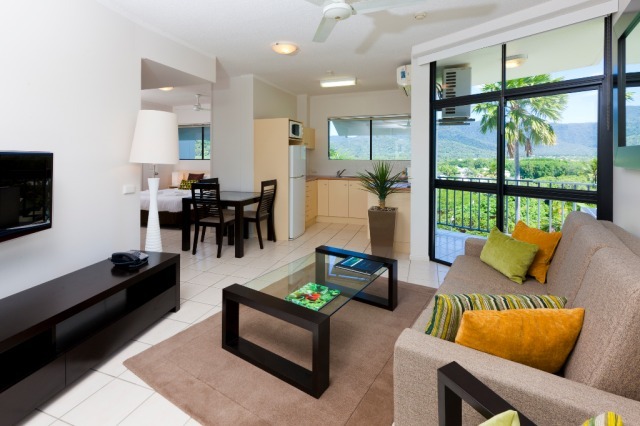 Ocean View Studio with beautiful beach views from spacious private balconies. 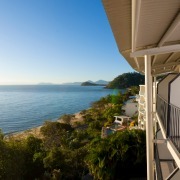 Ocean View Family Apartment for those travelling with another couple or independent children, the Family Suite has a dual key option combining an Ocean Outlook Studio with it's companion Retreat. 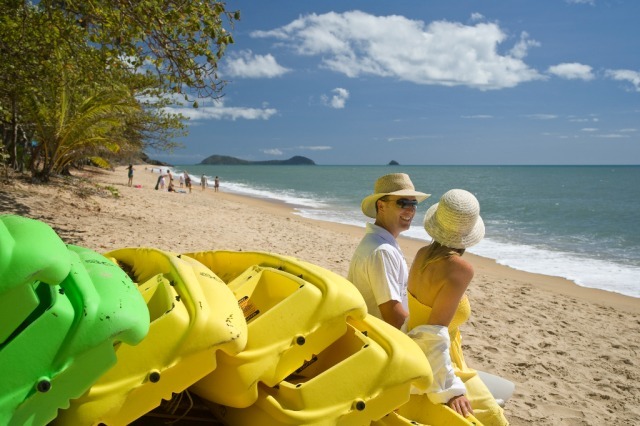 A short 25 minute drive north of Cairns and Airport, Trinity Beach is located in the heart of Tropical North Queensland. 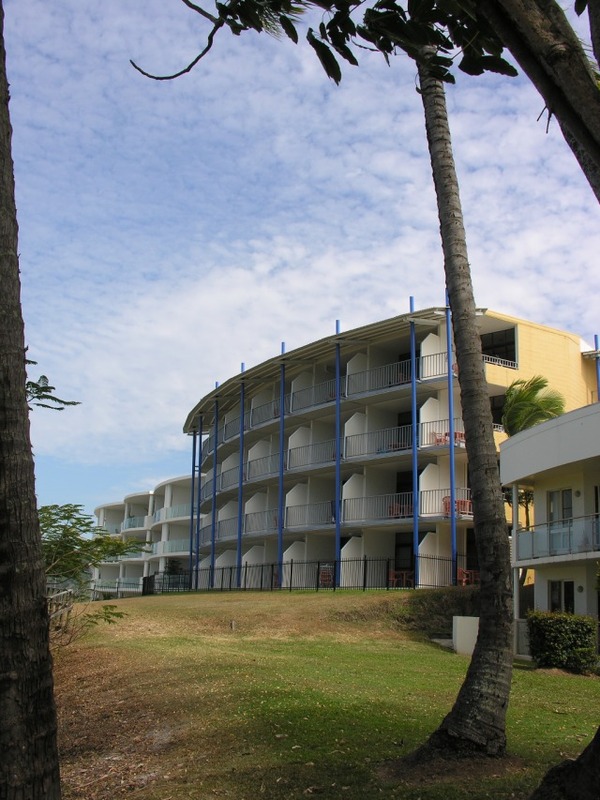 Note: Due to the cliff side location there is a steep driveway to the complex and the majority of tour operators will pick up from the bus stop at the corner of Moore & Trinity Street only a 2 minute walk away. Also there are many stairs down to the beach access. I could not believe the apartments were so good, value for money, clean and management were great! A very quiet and relaxing place to stay. 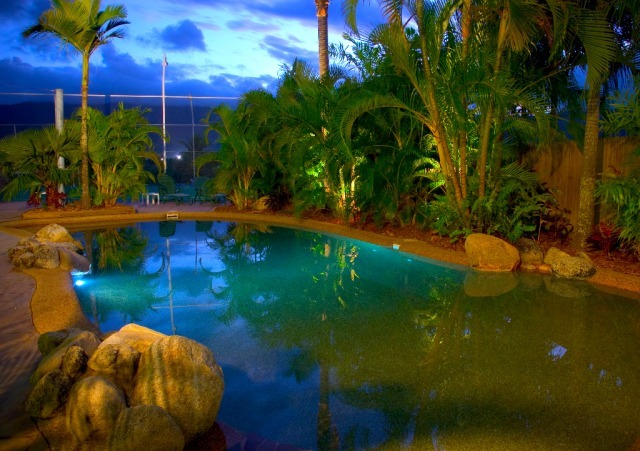 Good location,close to restaurants and short walk to beach. rooms are very comfortable and outlook is great. Very friendly management who ensure you settle into your unit without any fuss. Great location great views what more do you need! The hotel was so welcoming, we had such a lovely stay beautiful comfortable accomadation with stunning views. Ill def reccomend this place for anyone looking to stay on Trinity Beach. Lovely views from the balcony - Also loved the privacy of each apartment. Amaroo and the staff was absolutely terrific. The place was lovely and clean and the views were breath taking. Would recommend Trinity Beach as one of the nicest places to stay and Mike & Cathy at Amaroo are lovely. Great location, friendly staff. Highly recommend. Managers very helpful and friendly. Enjoyed Trinity Beach- good exercise! We found Amaroo at Trinity staff really friendly and helpful. It was a great place to stay for our week long visit. Fantastic views. Would stay there again! The managers of the place were very helpful and had a very good knowledge of the local attractions.The roomwas clean and for what I wanted was excellent. Amaroo at Trinity is an excellent facility. 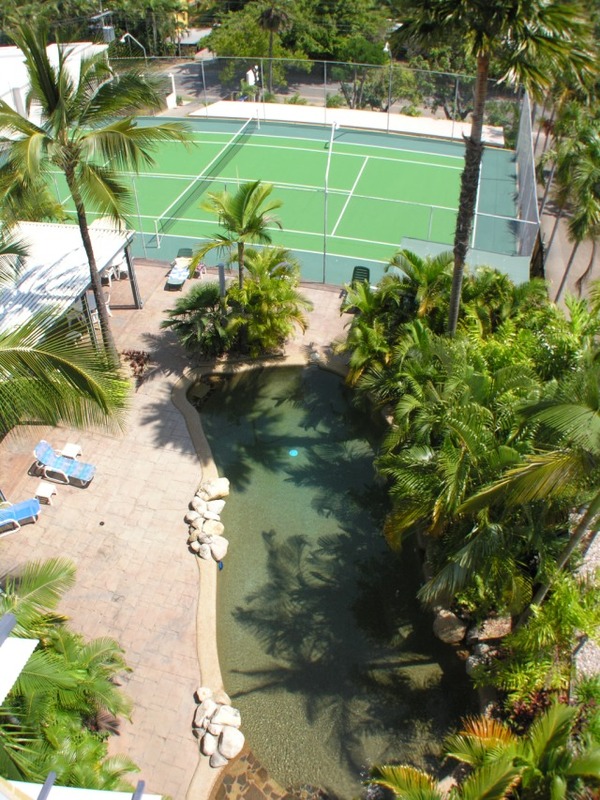 It has everything you could want - amenities, view, near to the beach and restaurants etc. It was great. And the Managers were the nicest and most friendly, helpful people you would wish to be assisting you. It is definately a place I would recommend. We were extremely happy with Amaroo at Trinity. Position/cleanliness/friendly, helpful staff. 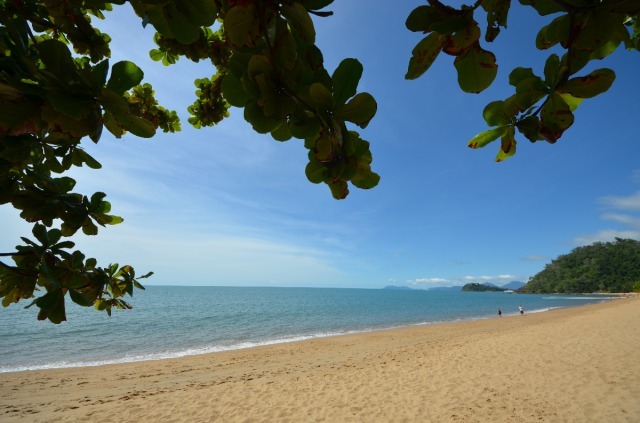 We will be back and we certainly would recommend to anyone planning a trip to beautiful Trinity Beach. we have been there already 16 years ago.since then substantial improvements were done,enlargement of the balcony, modern a/c,sun protection,blinds. Trinity Beach was the best part of our holiday, Amaroo first for 6 nights and then Bellevue for 2, although Amaroo was far better for value and the manager was most helpful. The only immediate improvement could have been a fly screen! Pleasant outlook over the sea everything in apartment you need if preparing own meals.Can be a little noisy at nights when you have other guests staying above your room. Apart from that had a great time at Trinity. The managers are great people,we will stay there again. Good for the money friendly people,small rooms and bathroom. 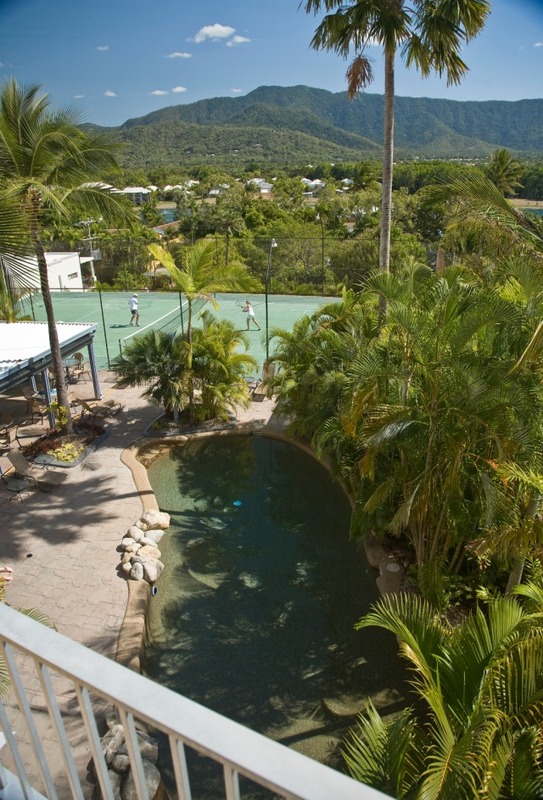 The room had an excellent view and reception were friendly and helped us to book activities. Friendly owners who would do anything to assist. Mike and Cathy were very friendly hosts. The views were lovely. More than I could have ever hoped for and a great price.